Welcome to the world of Samsung. Founded back in 1969 as Samsung Electric Industries, Suwon, South Korea-headquartered Samsung Electronics today makes everything from televisions to semiconductors. Samsung is mainly known for it's smart phone manufacturing. Here you will find some insights on the upcoming Samsung smartphones, reviews on various models which will help you to choose which samsung gadget you should buy. 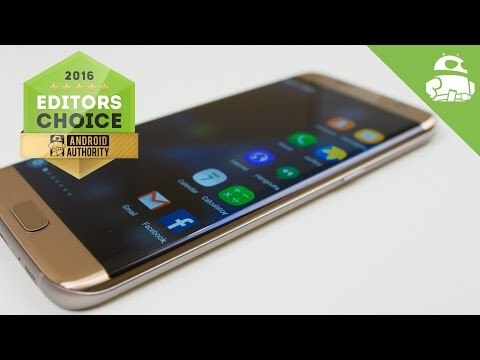 Samsung Galaxy S7 Edge smartphone was launched in February 2016. The phone comes with a 5.50-inch touchscreen display with a resolution of 1440 pixels by 2560 pixels at a PPI of 534 pixels per inch. Samsung Galaxy S7 Edge price in India starts from Rs. 50900. The Samsung Galaxy S7 Edge is a dual SIM (GSM and GSM) smartphone that accepts . Connectivity options include Wi-Fi, GPS, Bluetooth, NFC, USB OTG, 3G and 4G (with support for Band 40 used by some LTE networks in India). Sensors on the phone include Compass Magnetometer, Proximity sensor, Accelerometer, Ambient light sensor, Gyroscope and Barometer. Samsung Galaxy J7 (2016) smartphone was launched in March 2016. The phone comes with a 5.50-inch touchscreen display with a resolution of 720 pixels by 1080 pixels. Samsung Galaxy J7 (2016) price in India starts from Rs. 15990. The Samsung Galaxy J7 (2016) is powered by 1.6GHz octa-core it comes with 2GB of RAM. The phone packs 16GB of internal storage that can be expanded up to 128GB via a microSD card. 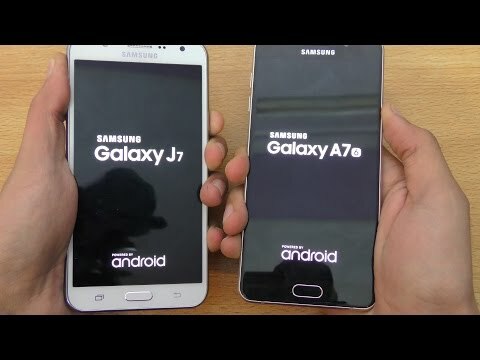 As far as the cameras are concerned, the Samsung Galaxy J7 (2016) packs a 13-megapixel primary camera on the rear and a 5-megapixel front shooter for selfies. The Samsung Galaxy J7 (2016) runs Android 6.0.1 and is powered by a 3300mAh removable battery. It measures 151.70 x 76.00 x 7.80 (height x width x thickness) and weighs 170.00 grams. The Samsung Galaxy J7 (2016) is a dual SIM (GSM and GSM) smartphone that accepts Micro-SIM and Micro-SIM. Connectivity options include Wi-Fi, GPS, Bluetooth, USB OTG, 3G and 4G (with support for Band 40 used by some LTE networks in India). Sensors on the phone include Proximity sensor, Accelerometer and Ambient light sensor. Founded back in 1969 as Samsung Electric Industries, Suwon, South Korea-headquartered Samsung Electronics today makes everything from televisions to semiconductors. It released its first Android smartphone in 2009, and can be credited with the launch of the first Android tablet back in 2010. The company is among the biggest players in the smartphone market in the world. It has recently developed smartphones running Tizen OS, as an alternative to its Android-based smartphones. Samsung's latest mobile launch is the Galaxy A7 (2017). The smartphone was launched in January 2017. The phone comes with a 5.70-inch touchscreen display with a resolution of 1080 pixels by 1920 pixels. Founded back in 1969 as Samsung Electric Industries, Suwon, South Korea-headquartered Samsung Electronics today makes everything from televisions to semiconductors. It released its first Android smartphone in 2009, and can be credited with the launch of the first Android tablet back in 2010. The company is among the biggest players in the smartphone market in the world. It has recently developed smartphones running Tizen OS, as an alternative to its Android-based smartphones. Samsung's latest mobile launch is the Galaxy A7 (2017). The smartphone was launched in January 2017. The phone comes with a 5.70-inch touchscreen display with a resolution of 1080 pixels by 1920 pixels. The Samsung Galaxy A7 (2017) is powered by 1.9GHz octa-core it comes with 3GB of RAM. The phone packs 32GB of internal storage that can be expanded up to 256GB via a microSD card. As far as the cameras are concerned, the Samsung Galaxy A7 (2017) packs a 16-megapixel primary camera on the rear and a 16-megapixel front shooter for selfies. The Samsung Galaxy A7 (2017) runs Android 6.0 and is powered by a 3600mAh non removable battery. It measures 156.80 x 77.60 x 7.90 (height x width x thickness) . Connectivity options include Wi-Fi, GPS, Bluetooth, NFC, Headphones and FM. Sensors on the phone include Proximity sensor, Accelerometer and Barometer.